2012 was another rough year for equity mutual funds business. In spite of relatively strong stock market performance, retail investors continued to pull their money out. This trend has been in place for quite some time (see discussion), but has accelerated this year. 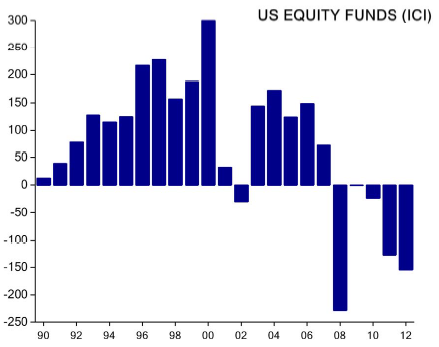 The outflows from US equity mutual funds were roughly $154bn this year.